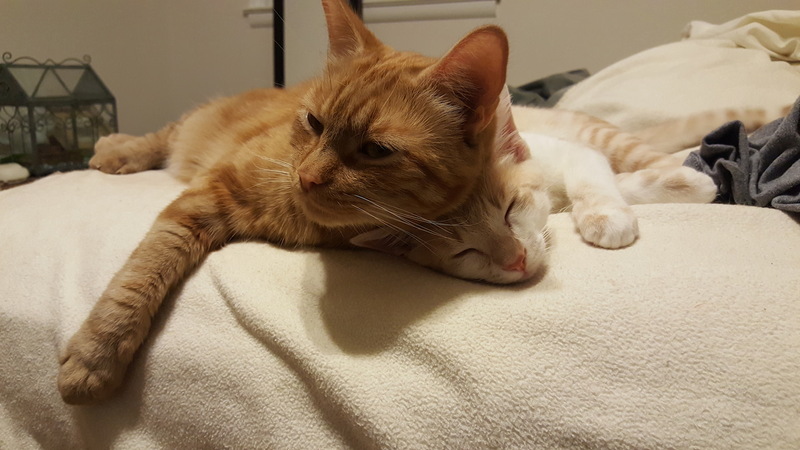 Ralph and Moose cuddle on my bed. 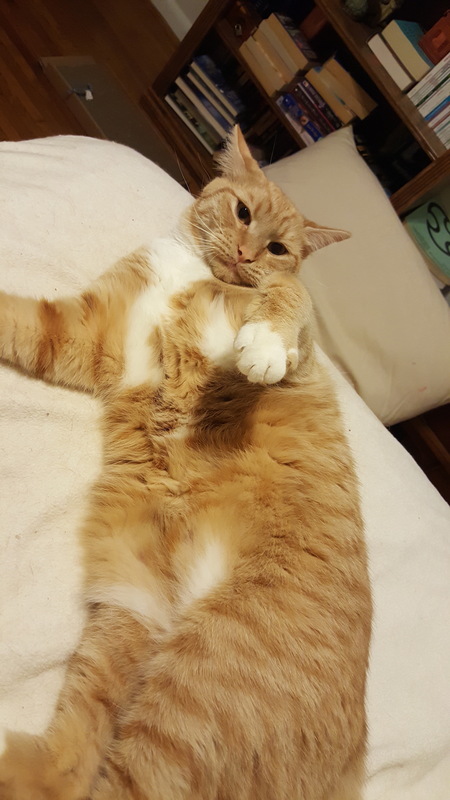 Rufus dares me to touch his belly. Wednesday, August 8, is International Cat Day! As you can see from my photos, all three of my cats are eager to celebrate–or take a nap. 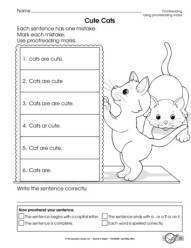 🙂 To spotlight this holiday, here is a selection of fabulous skill-building cat-themed activities! 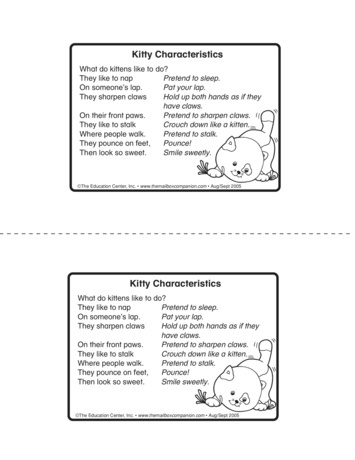 This kitty cat action rhyme is perfect for preschoolers! 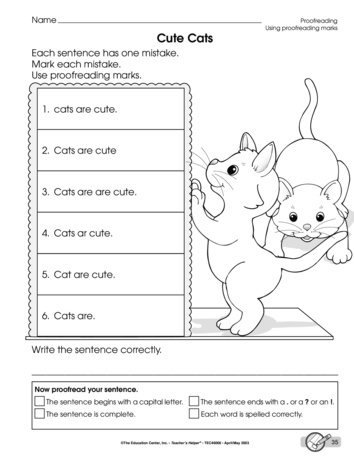 Students practice proofreading sentences with this cute cat printable. 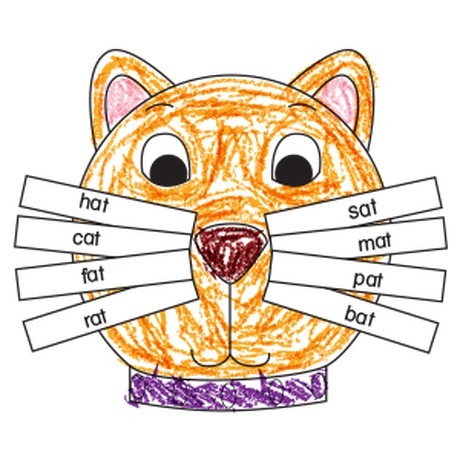 Students focus on the -at word family with this cool cat activity! 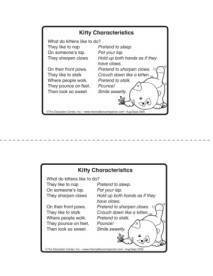 I love cats but I’m allergic to them. Therefore as soon as I’ve held and/or petted them I have to wash my hands and face otherwise my eyes get all puffy. 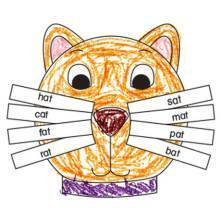 My favorite cat is one of the big cats a Tiger. I have a huge collection of stuffed tigers.